The Spectrum Center will be closed Nov 22 & 23 and will reopen with regular hours on Nov 26. 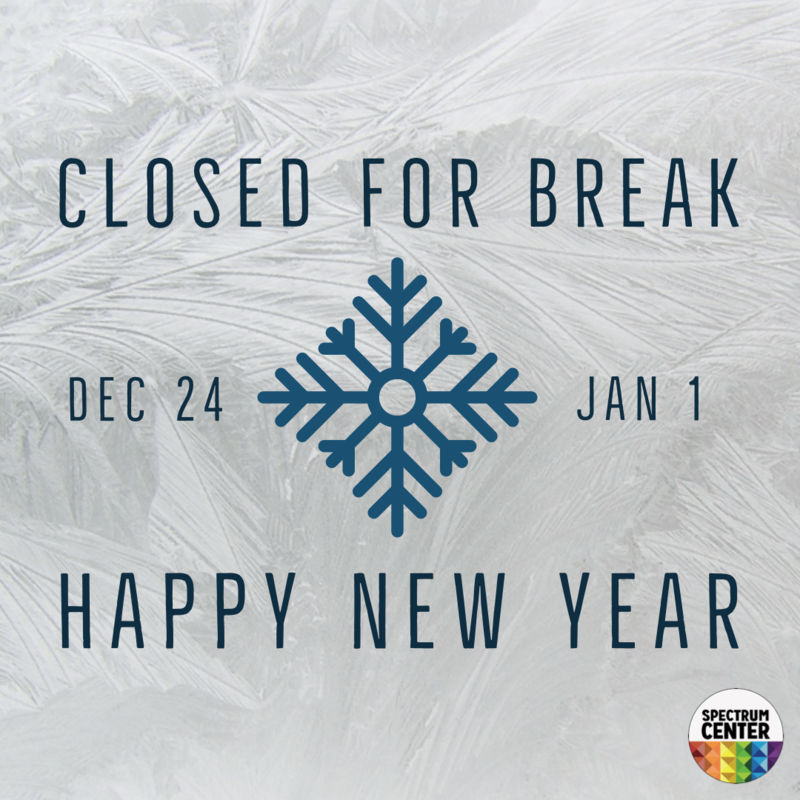 The Center will also be closed during the semester break starting Dec 24- Jan 1. The Center will be open on Jan 2 for the beginning of Winter semester. Check out our Guide to Going Home for Break for some helpful tips and resources to help get through the time off.